Rachelle Lopez began coordinating weddings in 2002 as her first job after graduating from university. She left her job planning weddings to pursue a career as a counselor, but continued to coordinate weddings as a side business for the last 14 years. In 2017, Rachelle left the planning and coordinating part of weddings to start a new venture as the Wedding Alchemist, a life coach for brides. Rachelle specializes in providing emotional support to women through the wedding planning journey. She believes that wedding planning should be filled with joy but in order to navigate the stress that can come with planning a large event you need someone to help support you through the process. Mayra is the owner of Cake Creations by Mayra Estrada. She is a self-taught cake decorator/designer specializing in fondant techniques since 2011. Her cakes are known for their unique styles and techniques. They are one of a kind and customized specially for you. Mayra's cakes have been published in worldwide magazines, such as Cake Central Magazine, Cake Craft & Decorations, American Cake Decorating, and Pretty Whitty Magazine. She has also been featured in blogs such as Satin Ice, American Cake Decorating, Cake Central, and Cakes Décor. Several of her cakes have been selected as Editor’s Choice on Cakesdecor.com. Mayra has entered two wedding cakes in the wedding category at the LA Cookie Con and Sweets Show and they were both awarded 1st place. She has also done some freelance work for Charm City Cakes West/Duff Goldman. *During Mayra's interview she mentions the price per serving of cake. But what she didn't mention is that in regards to pricing, a lot of vendors will advertise their starting price per serving before they add the additional costs of fondant flowers and work done on the cake. Mayra's company includes all of that in their pricing. Zia Shapiro is a non-denominational minister working in the Monterey Peninsula. Decades of experience as a professional chaplain, spiritual musician and expressive arts therapist add depth, simplicity and creativity to her work as a wedding officiant. Her musical expertise makes her adept at enriching ceremonies with song. She has lived and worked in India, Israel, Europe and the United States, officiating hundreds of wedding ceremonies for couples from different backgrounds, beliefs, religions and countries. Her genuine respect for diverse cultures, faiths and lifestyles shines through all she does. As a community chaplain she creates customized celebrations honoring other life-cycle events through her company Monterey Ceremonies by Zia. Gina Fernandez, is the owner of Skin by Gina. She has been in the beauty industry since 2003 and flourished with her love of makeup when she learned the art of airbrush makeup. With her background in skin care she understands the importance of offering a high quality medium to all clients. Her experience with working on film sets and closely with photographers has given her the ability to see hair and makeup the way the camera does. She loves working with all clients on one of the most sacred days of their lives, the day they say I do. Morgan Miller is the principal planner and creative director at Spreading Lovely, an Oakland based Wedding Planning + Design company. With eight years of event planning experience, and four years in the wedding industry, Morgan uses her eye for detail and passion for each couple to produce a design uniquely theirs. She believes in boundless love, a marriage after the wedding, and that you should be fully present to embrace every moment on your wedding day. Jamaica Crist grew up in the small coastal town of Newport, Oregon. She worked in a variety of restaurants while attending college in Eugene, Oregon, moving thru all the various positions: hostess, waitress, cashier, bar back and pantry/prep/dessert cook. It was while in Eugene that Jamaica found her true passion…desserts! After taking a few pastry and baking classes at the local college, she started working at The Sweet Life Patisserie and fell in love with the art of the wedding cake. She picked up the style of incorporating fresh flowers onto all of her cakes and continues to do so as her signature touch. Jamaica even grows flowers in her own garden that she uses on her cakes! James is the reason Jamaica is in Los Angeles. A West Los Angeles native and the backbone of Top Tier Treats, he went to Eugene to attend the University of Oregon, which is where he met Jamaica who was working in a local coffee kiosk. Thousands of wedding cakes later, James handles the behind-the-scenes business for Top Tier Treats, which allows Jamaica to stay focused on baking. Top Tier Treats was born as Jamaica’s Cakes in the spring of 2005, and Jamaica and James have never looked back since. Their store continues to grow its reputation as one of the best cake and dessert shops in the greater LA area. Alan Katz is the owner of Great Officiants. Great officiants is a company that features 37 professional officiants including priests, rabbis, ministers etc. for wedding ceremonies. Alan also owns a 24-hour Cute Little Wedding Chapel, which is a boutique wedding chapel that seats up to 30 in Long Beach, CA. He also owns a beach wedding division called SoCal Beach Wedding that does beach wedding ceremony designs, where they set up and perform beach weddings in LA and Orange County. Alan is also an authorized agent of Los Angeles county that can issue marriage licenses. He also has a new division that caters to people that want to incorporate pot into their ceremonies though Joint Vows. Alan started in the business in 2003 after performing his best friend’s wedding. At the conclusion, all the guests came up to him and told him this is what he should be doing for a living. 5000 plus weddings later, he owns the largest company of this type in the wedding industry. He and his officiants perform around 1500 weddings a year and he has over 1500 online reviews. Yaneck is the founder of WASIO photography and WASIO faces. He started his professional photography career over 10 years ago and just last year finally became a full-time photographer along with his wife Sasha after having a 20-year career as an IT Executive. In early 2017 WASIO expanded to Southern California after serving Chicago markets for many years. WASIO's work has been featured in RangeFinger magazine, Canon & Moab Paper booths, and won numerous WPPI awards and recognitions. Yaneck was also featured on Bokeh Podcast talking about expanding photography business to another market. He is passionate about sharing his business and photography knowledge and often talks at his workshops, webinars, Rising Tide Events, and Microsoft Stores. He also has a popular YouTube channel. Yaneck is proud member of the Moab Paper Masters, Phottix Pro Team, Savage and Graphistudio ambassadors. Laurel has been in bridal since she was 19 yrs old. She was hired as the 5th employee of Mon Amie Bridal Salon in 1978 (it opened in 1976). Laurel grew up and learned from the founder, Verna, who became like a mother to her. When Laurel left to be a stay-at-home mom in 1994 Mon Amie had 2 locations and 120 employees. She kept in touch with Verna through the years and when Verna passed away in 2011, she came back in 2012 and bought Mon Amie. Today, Mon Amie has one location and 42 employees. Tessa Lyn Events is a boutique wedding and event planning company based in Santa Monica, CA that will work alongside you to make your dream wedding a reality while respecting your personal taste and budget. Watching two people dedicate their lives to one another, while surrounded by family and friends, is a magical moment to witness. Tessa takes great pride in creating a celebration that lives up to those moments. Tessa Lyn Events wants their clients to enjoy being engaged and to let them design, organize, and execute an unforgettable and unique wedding. With over 150 weddings in their portfolio, Tessa Lyn Events can guide their brides and grooms through every step of the planning process seamlessly. Their work has been featured in People Magazine, Glamour, Exquisite Weddings, Inside Weddings Magazine, Style Me Pretty and more. Over the last 9 years, Emily has spent her Fridays, Saturdays, and Sundays doing hair and makeup for over 275 brides. She did her first wedding when she was 20 years old and immediately fell in love with the wedding industry. As a self taught artist, she loves the freedom to create and design the perfect wedding look for each individual bride and their own personal style. Her end goal is to enhance her beauty to be the best version of herself. Emily's hair and makeup business has developed as a result of her passion for all things glamour, she likes to call it Designed Elegance! Lauren officiates weddings for sentimental, spontaneous couples who are excited to explore their love! She is also reinventing the concept of “Wedding Officiant.” After attending many traditional wedding ceremonies, she realized that couples were missing a huge emotional opportunity to create an original, heartfelt wedding ceremony that reflected the essence of who they are and that brought their communities closer together. Given her sentimental, spontaneous nature, Lauren decided to fill that void and become the Wedding Officiant who would truly help couples explore, express & celebrate their love! Lauren has been officiating weddings for over 10 years. She's a certified life coach and she's also someone with strong beliefs. For example, she believes that all work days should include a mandatory 20 minute dance party, that everyone should fall in love with someone of the same gender at least once in their lives and that we should say something GREAT about our partner every night before bed - especially when we don't want to! Speaking of partners, Lauren and her wife Katy have been married since 2012 and while they are originally from Maine, they are LOVING life here in sunny California! Sugar Fairy Dessert’s founder Hasmik was destined to be a baker since she was 10 years old. Her first memory of baking is whipping up meringue in her grandmother’s kitchen.In 2010, Hasmik made her dream of starting a confection company come to life when she received her first catering order for Creative Visions Foundation. The event launched her career as a dessert caterer. Shortly after, she designed what would become her best selling product, a holiday themed DIY cookie decorating kit. In 2012, Hasmik started at The Culinary Institute of America in Napa Valley where she graduated with a degree in baking, and pastry arts. Sugar Fairy Desserts is passionate about using only the finest ingredients and treating every client like they are a part of her family. Jinger Leonard is the owner and lead design of The Flower House in Livermore, California. Jinger has stayed true to her passion for weddings for all of her adult life from planning friends weddings, becoming a professional wedding a planner and now a leader in wedding and event florals. She purchased The Flower House in 2005 and has turned it into one of the best bay areas premiere wedding flower and event production businesses. Her goal is not just creating beautiful florals but interpreting her bride and groom' inspirations and personality into a beautiful reality. The expression and gratitude on brides and grooms faces when they see their wedding makes Jinger and her team thrive. You can see many of The Flower House passionate weddings in many different wedding blogs and wedding magazines such as Style Me Pretty and Carats and Cake. Executive Chef Amy Jurist has had a passion for cooking since she was a child, when she created her first dishes for her parents at five years old. Gaining pleasure from delivering food prepared to each person’s liking, Chef Amy’s culinary passion is moved by decadent foods, great sauces, and “yummy” amazing flavors. A former TV marketing executive, Amy left the advertising world behind about 12 years ago to finally pursue a career in the culinary arts She has taken cooking classes in France and Switzerland and over 50 classes around LA, before formalizing her training at the Westlake Culinary Institute and then received a professional Pastry Certificate at Academy of Culinary Education. Chef Amy is the owner of Amy’s Culinary Adventures, a full service catering business. ACA has been Voted best Caterer in Los Angeles for the last 5 years on LA's Hotlist, Amy's Culinary Adventures is the trusted expert and recommended caterer for Los Angeles weddings, corporate catering, business lunches, bar and bat mitzvahs, social functions and holiday parties. Chef Amy is also an award winning Chocolatier. Chef Amy and her team take care of every event detail, including creative menu design, beautiful floral arrangements, rentals & decorations and are known for their rich decadent food, delicious presentation, and impeccable waitstaff & bartenders. Michelle Miller was destined for deejaying from a young age, playing her families records and going to concerts of all genres. Her dream of deejaying came true and she has been playing events for the last ten years. Starting with local parties and bars she quickly started gaining the attention of local concert and festival promoters. She has opened up for many of her favorite musical artists including grammy award winning International artist Shaggy! She has played and emceed at the world famous festival Reggae on the River. She has now grown her business into a full deejay service with weddings being her favorite! She has knowledge of many genres and takes pride in making sure you get the music that you want played and the dance floor is never empty! Sahar is new to the wedding industry, but not new to the events world. She's a marketing and events exec by trade, but last year she found that she just wasn’t enjoying working in the corporate world. The stress was getting to her – both physically and emotionally, so early in 2017 she decided to leave her job and find her new passion. Sahar knew she wanted to do something where she could create something – something crafty. Around the same time, a friend had decided that she was going to move to overseas and wanted to sell her dessert table business. It felt like fate. Sahar bought Unique Edible Creations from her. Unique Edible Creations allows Sahar to be creative in ways a corporate job never could – but more importantly, its fulfilling. She can’t put the feeling into words when a bride sees a table that she created specifically her. saac Klotz is an award winning photographer, cinematographer and filmmaker living in San Francisco, CA. He has done projects for global brands such as Apple, Sony PlayStation, Lexus, Pepsi, Pioneer, Pur, Leapfrog, Pedigree, Atlantic Records, Roxy, and Hudson. His fine art wedding photography studio Love Knot Photography has been featured in Brides Magazine, Weddings Magazine, The Knot Magazine, Style Me Pretty, Green Wedding Shoes, and recently was named Best of Weddings 2018 by TheKnot.com, his 6th year in a row winning this distinction! Love Knot Photographywas also recently elected to TheKnot.com Hall of Fame. When photographing a wedding, Isaac looks to create elegant, artistic and fun images which tell the many beautiful stories of the day. More information can be found at www.loveknotphotography.com or by emailing Isaac at loveknotphoto@gmail.com. Brian was born and raised in Western New York, a graduate of Princeton Theological Seminary with a Master of Divinity. He served as Chaplain at Dickinson College, Carlisle, PA from 1969-1973, Staff member at Esalen Institute in Big Sur, CA from 1973-1993; and from 1994-2009 Brian served at 4 different churches as an interim pastor. Brian was a hospice chaplain for 2 years and he began Life Celebrations in 1993 offering weddings, vow renewals, blessings, and memorial services to those who need his services. Brian's spiritual journey continues beyond the boundaries of organized religion. Steven is very passionate about giving his customers a wonderful experience at Trudys. He wants to create special memories and traditions that get repeated for generations. Nothing makes him more proud than a mom who had bought her wedding gown many years ago and is now bringing her daughter in for prom dresses and eventually a wedding gown. The discovery of finding that most beautiful dress should be almost as fun and thrilling as you feel on your most special day. Trudys is a family business that Steven's parents established in 1974...Yes Trudy is his mom and she still loves meeting all of her customers, choosing the right dresses each season, and helping customers find that special dress. Below are some of the dresses and designs that can be found at Trudy's. Yolanda Thayer is the owner of Prima Donna Makeover. Her company does hair and makeup on location as well as kids, spa parties, Lipstick Lab Bar, and Perfume Bar Soiree. Her services are unique and they come to you. Prima Donna Makeover has been in service for almost 10 years and has been awarded best in weddings on The Knot, Yelp, Wedding Wire. She would be honored to serve you for you amazing event for any occasion, birthdays, weddings, baby showers, bridal showers, office events and more. Amara Cinko is the owner of Expressed Image. Amara is the owner of Expressed Image. She was raised in Southern California, where she found her passion for wedding planning during her employment with a local country club. She remembers envying their wedding planner, so much, that she aspired to be her. She is happy to report that her aspirations have gotten much larger and she is forever grateful for her inspiration. 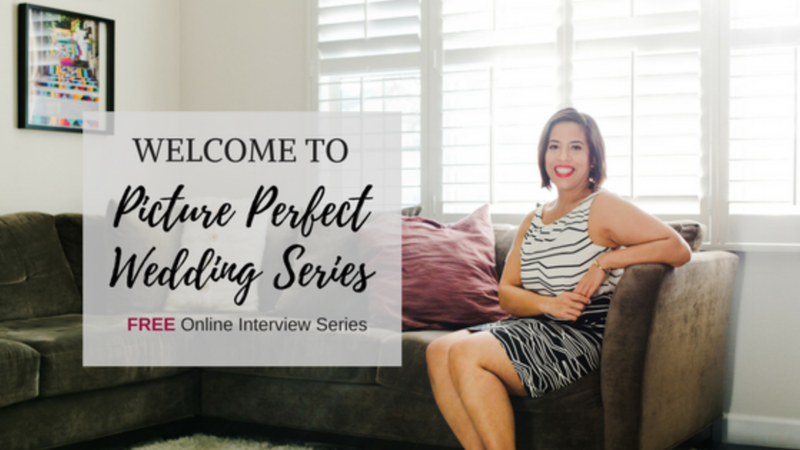 Amara now owns a wedding planning company and focuses on teaching her employed wedding planners on how to create dream weddings specific to their client's vision. Expressed Image is located in California and Idaho, with destination weddings throughout the US and Mexico. *During Amara's interview she says, "of all the MISTAKES I made on my wedding day, that was one thing I did right." But what she didn't mention was that it was because of the mistakes that she was so eager to help her friend during her wedding, so she didn't have those same things happen to her. Amara planned her wedding prior to planning anyone else's wedding. Christian Röder has an extensive background as Executive Chef and Pastry Chef. He was born and raised in Austria, a country renowned for their pastries. Christian’s training took him all over Austria, learning from some of the top pastry chefs, such as three time world champion Dietmar Patzl. Once he had finished his apprenticeship, he worked in five star hotels and award winning restaurants throughout Austria. With a strong desire to broaden his experience and skills in other cuisines, Christian took a position on a five star luxury cruise line, Windstar. Advanced to Executive Chef and traveled the world and discovered new and exciting foods and cuisines. Christian’s travels led him to San Francisco, where he met his wife-to-be, Taira. After working in several Restaurants in San Francisco and Marin County, he opened his own Restaurant, which he sold after 7 years. Looking for a new challenge he turned his focus on his lost passion, baking cakes. Weeks later Krumbs Cakes was born.